Whether it is your friend who influenced you to try playing League of Legends or your curiosity is simply killing you, here is your guide towards a more improved gaming experience! League of Legends is one of the talks of the town. No doubt. Proof is the millions of players across the world. Currently, it has more than 100 customizable champions with each various skins and different game modes. Here's the basic idea you need to know about this popular MOBA game. Objective The objective is basically parted into two parts: Primary and Secondary objective. Primary Objective – are important things the team will have to obtain so as to ensure winning. •	Gain experience •	Collect gold from minions •	Destroy structures Secondary Objective – helps the players to achieve the primary objectives. •	Positioning the wizards on the map •	Getting monster buffs •	Killing the dragon and baron at proper times Champions LoL has over 100 champions available to play. These are individual units that are straightly controlled by actual humans. Every team has 5 champions, so a total of 10 champions for each game. 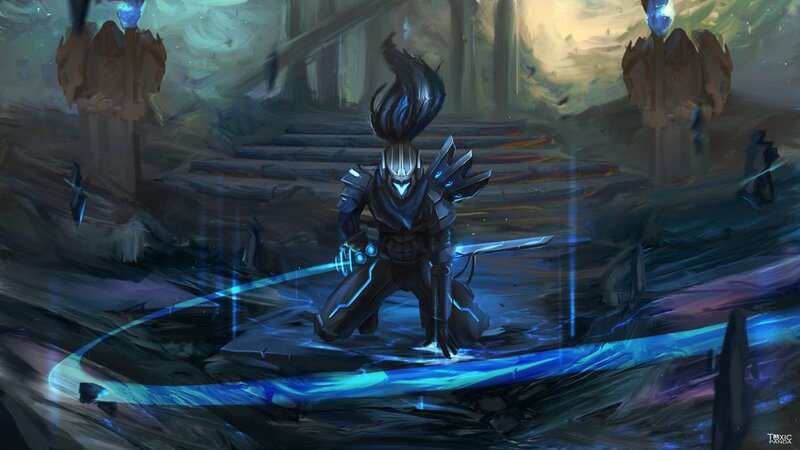 Among the most popular champions are: •	Jungle (Hecarim) - a swift man or horse hybrid that is able to increase around the map •	Support (Zyra) - a prevailing mage who trap opponents for her teammates to destroy •	Top lane (Jayce) - a strenuous lane champion with ranged and melee attacks •	Bot lane (Jhin) - a noxious sniper who kills opponents from far afield •	Mid lane (Corki) - a little old man in the fighter plane that makes use of a minigun and a rocket to attack from range Roles Some roles are easier for beginners while others are best to leave for more experienced players. •	Fighters - usually melee champions and often called bruisers. They have moderate damage output and defense. •	Marksmen - often have low defenses and health but high damage output. Known as ADC or attack damage champion. •	Supports - best at protecting teammates, especial the ADC and APC. Include a variety of spells to protect, heal, and buff allies. •	Tanks - melee champions that have high health and defenses but low damage output. The role is to stun, disable, and shield other team members from getting damage. •	Mages - ranged champions with low defenses and health but extremely high damage. Use their auto attacks and abilities for dealing damage to every target. •	Assassins - have high damage output but low survivability and health.